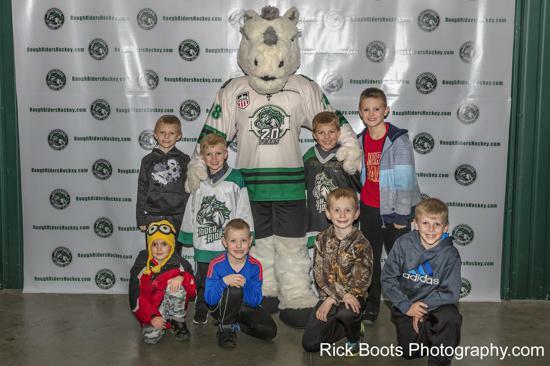 Your RoughRiders Birthday Starts Here! 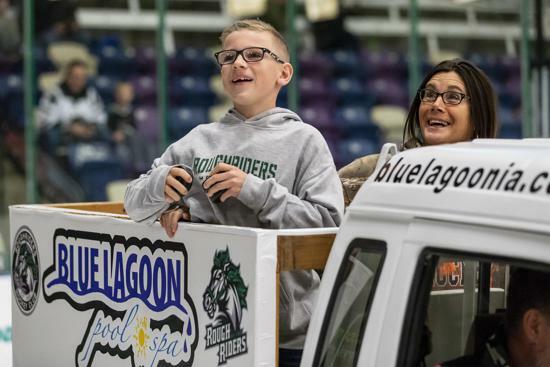 Birthday Party Packages focus on YOU, the ROUGHRIDERS FAN! this year we're making a big SPLASH thanks to Blue Lagoon Pool and Spa! Click here to book with Tammy ! Blue Lagoon Pool and Spa! 10 Chuck-a-pucks for a chance to win prizes! 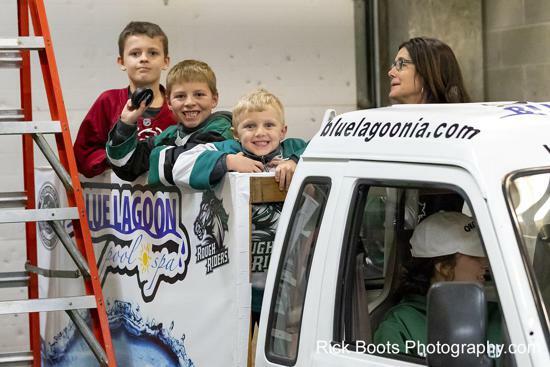 Your birthday gets more exciting in the Blue Lagoon Birthday Buggy at intermission when YOU toss foam pucks to the fans! Every member of your party takes home a Blue Lagoon Foam Puck! A special BIG SCREEN "Happy Birthday message" to YOU by name! 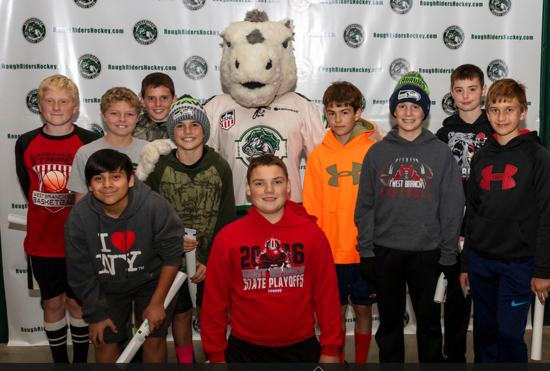 A memorable pre-game professional photo with the player of your choice! A professional photo with Ricochet on celebrating your special day! 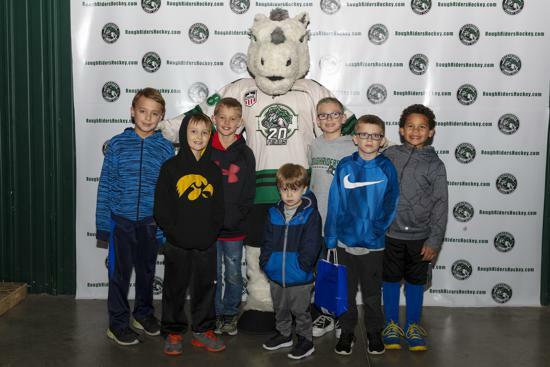 YOUR birthday group will be featured on the arena jumbotron! 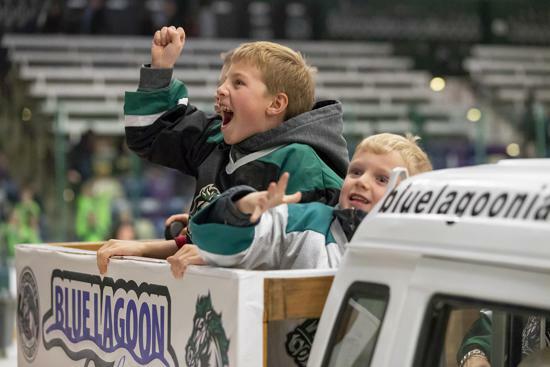 Blue Lagoon Birthday Bash packages include the above excitement, plus the in-game fun for only $149! *Additional tickets may be added, please let our program coordinator know how many tickets you would like to add! Call our birthday program coordinator and book your party TODAY! Tammy! 319-360-9977 for more information or email!